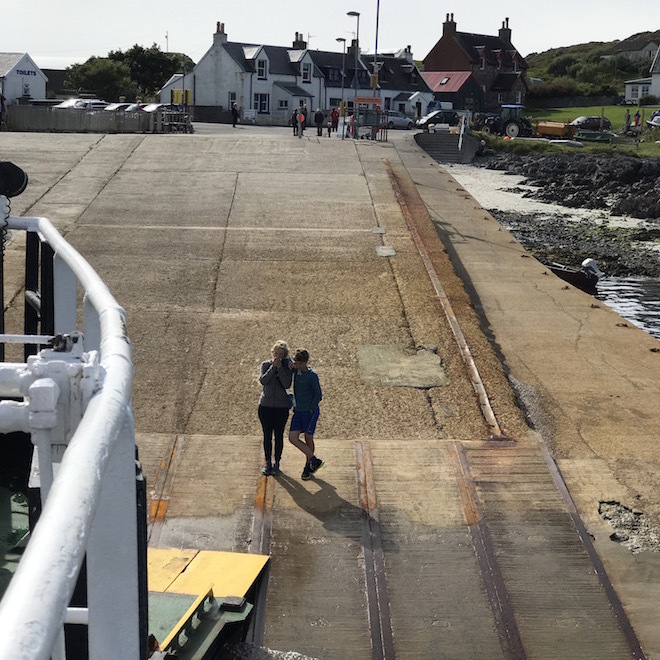 A busy Sunday in August may not feel like the ideal day to choose for an Iona day trip, but actually we have done it and it was great! We went to visit cousins who were spending the weekend there. I recommend to all our guests that they go to Iona if they haven’t already been. It is a long drive, but the scenery is unrivalled and to my mind, the effort well rewarded. Whatever time of year! I always suggest that guests drive via Dervaig, Aros Bridge and Salen to Craignure and down to Fionnphort through Glen More. Depending on the traffic, it can take about 2 hours to get there. Look at the ferry timetable so you can aim for a particular boat. The road through the glen from Ardura to Pennyghael is starkly beautiful – look out for the Three Lochs, there is a place to stop there and take in the view. At Pennyghael, the little Post Office offers teas and coffees and local produce. Not many post offices have a view that lovely, across Loch Scridain to Ben More. You catch the passenger ferry from Fionnphort. There is free parking available. 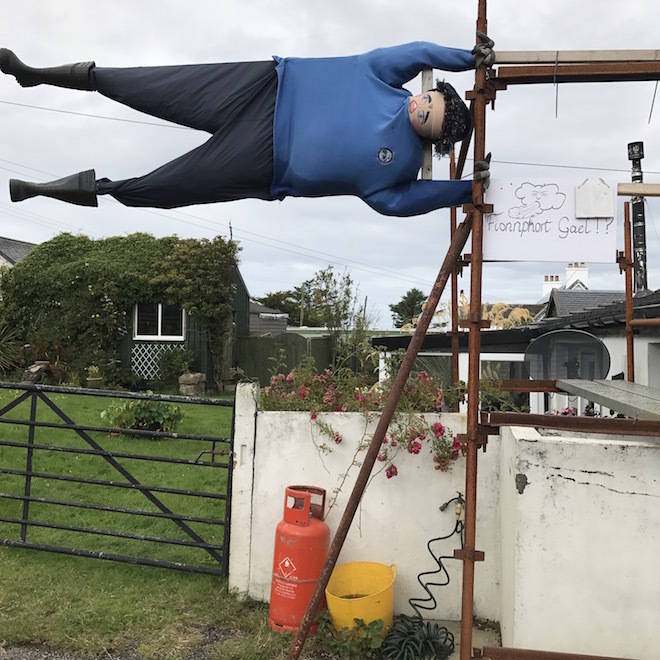 You turn left once you arrive in the village, it is signposted to Knockvologan/Fidden. You can buy seafood salads and sandwiches at the Creel Seafood Bar. There is also a cafe in the waiting room, and the Keel Row pub. The Ferry Shop sells local produce too, and books, crafts et cetera. The crossing takes 10 minutes. Foot passengers only. The colour of the water surprises me every time I cross, the turquoise is almost Caribbean. At the moment the Abbey is scaffold free! The views in all directions are wonderful! It is a wonderful feeling being a pedestrian. The only vehicles belong to residents. Walking is a pleasure in each direction. Up to the Abbey and on to the North end, or in the opposite direction to the Back of the Ocean or Columba’s Bay. There are plenty of places to eat on Iona in the main season. The Iona Craft Shop and the Low Door do really good take away coffees in Vegware compostable cups if you haven’t got your own Keep Cup. The Argyll and the St. Columba do lunches and afternoon tea. The Heritage Museum has a cafe attached too. 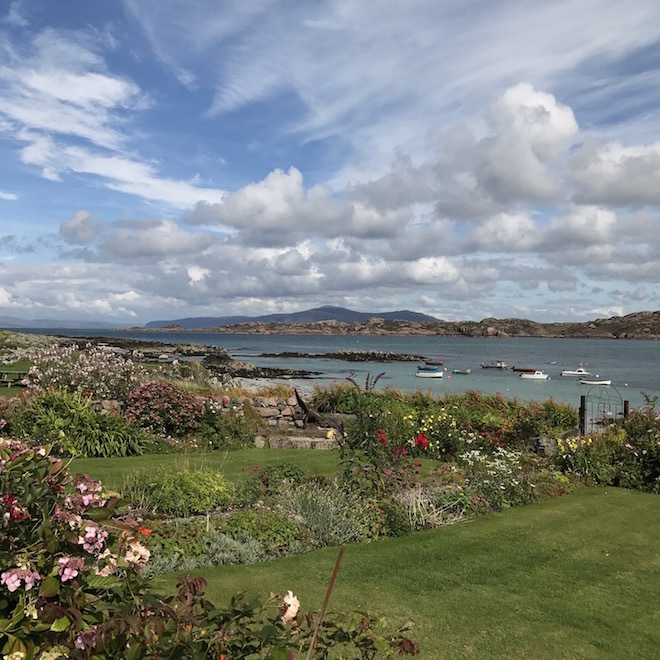 Walk up through the Nunnery and along to the Abbey past the prolific and colourful kitchen gardens belonging to the Argyll and St Columba Hotels. Stop on your way at the Heritage Museum, and learn about life on the island. It is a fantastic small museum, one of my favourites. On the way back you can come through the fields and along the little street of houses along past the Argyll Hotel. It is bordered with pretty gardens leading to the white sandy shoreline. The eye is drawn to the turquoise sea again and again. Don’t miss the last boat! 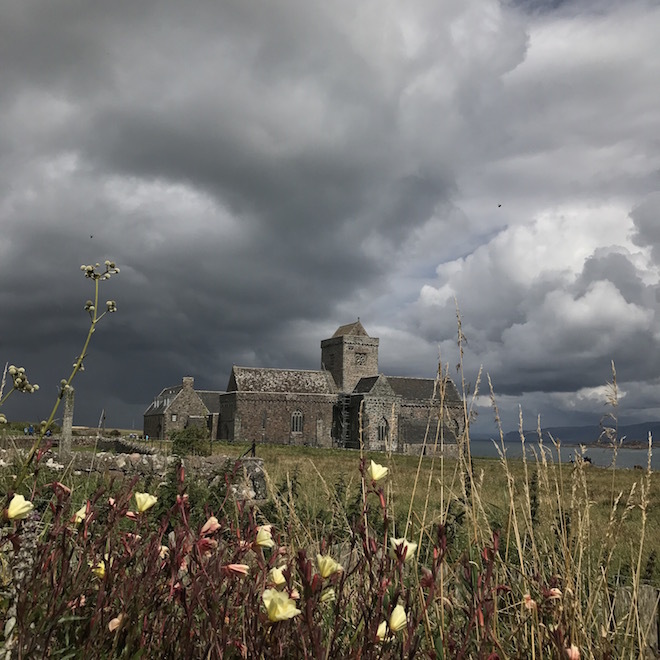 All the places I have linked to are on the Mull and Iona Food Trail. 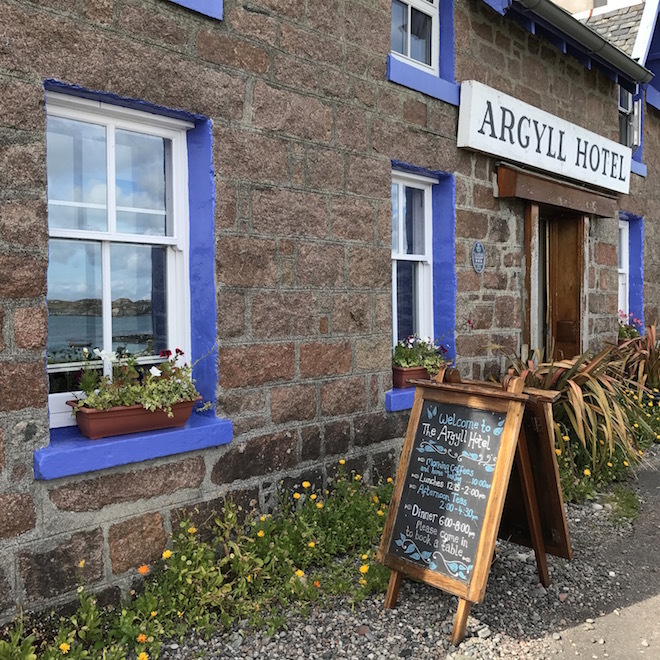 There are several other Food Trail listings in the Ross of Mull and Iona who produce and supply local produce so please have a look at their website or pick up a Food Trail Map! Driving home I recommend taking the left turning at the head of Loch Scridain and going home via the spectacular Gribun cliffs and Ulva Ferry. The late afternoon, early evening light from Balmeanoch looking over to Inch Kenneth, Ulva and the Treshnish Isles is magical, and if you are much later you might catch the sun setting over the water too. It is about 15 miles shorter than the Craignure route and takes about the same length of time.